MIAMI BORN AND RAISED, Dave has spent his life fly fishing its area waters. His obsession progressed from riding his bike and fishing local canals with his father's bamboo fly rod to pursuing game fish worldwide. Much of his youth was spent fishing with his parents — they would spend weekends on their boat in Biscayne Bay, drive to Flamingo or stay at the Kon-Tiki in Islamorada. Since buying his first flats boat years ago, his passion developed a laser focus on sight fishing in skinny water for tarpon, bonefish, permit, snook and redfish. For more information on his guiding style, click here. Miami Fly Fishing Experience Assured. Capt. Dave is a meticulous fly tier, equally obsessive about terminal tackle. 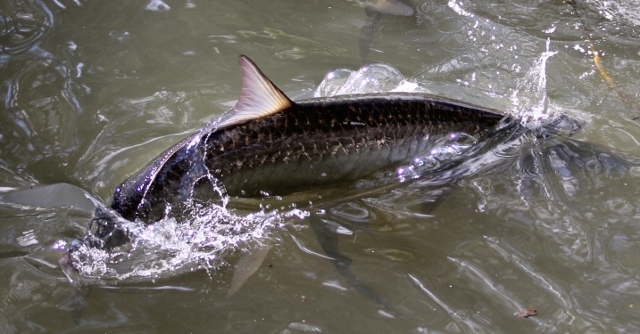 For example - check out his tarpon leader system by clicking here. He is also an avid cold and blue water fly fisher — has enjoyed fishing in Alaska, the Bahamas, the lower 48, Guatemala and Argentina. He has caught well over 300 bonefish and over 95 different species of fish on fly. Dave is past president of the South Florida Fly Fishing Club and was a founding member of the Board of Directors of the Fla. Council of the Federation of Fly Fishers. In addition, he is a certified Florida Master Naturalist. He is a MultiEngine Commercial Instrument Licensed Pilot, holds the following licenses from the US Coast Guard: OUPV, and Master Capt. to 25 tons with a towing endorsement. He holds a permit to guide in Everglades National Park, is commercially insured and ready to take you fishing!